If you’ve ever had the misfortune of experiencing water damage to your property, then you know how important it is to have water damage restoration services done immediately. Initial water damage can be expensive to repair, which is bad enough, but the damage can worsen over time if it isn’t repaired immediately. Finding a water damage restoration company that can help you in a pinch is imperative, especially if you want to prevent any further damage to your home. Here are just a few ways a water damage restoration contractor can help protect your home from further damage. As you know, water can be an extremely destructive element. The initial water damage to your home can be pretty damaging and if you don’t take care of it as soon as it happens, it’ll get much worse. Prolonged exposure to water will weaken your home’s structure and you’ll begin to notice the floor start to bow, walls begin to bend and crack, and ceilings will begin to cave under the weight. When you act fast and hire a contractor to restore your home soon after the initial damage, you’ll be able to limit the level of damage to the structure. Another con that comes along with flooding and water damage is the dreaded duo: mould and mildew. Within 24 hours of exposure to water or moisture, mould will begin to grow—and unfortunately, it takes much more effort to get rid of mould than it does for mould to grow in the first place. Mould isn’t just unsightly, it’s also a health hazard for yourself and your family. It can cause symptoms similar to allergies and asthma, and in extreme cases, even death. 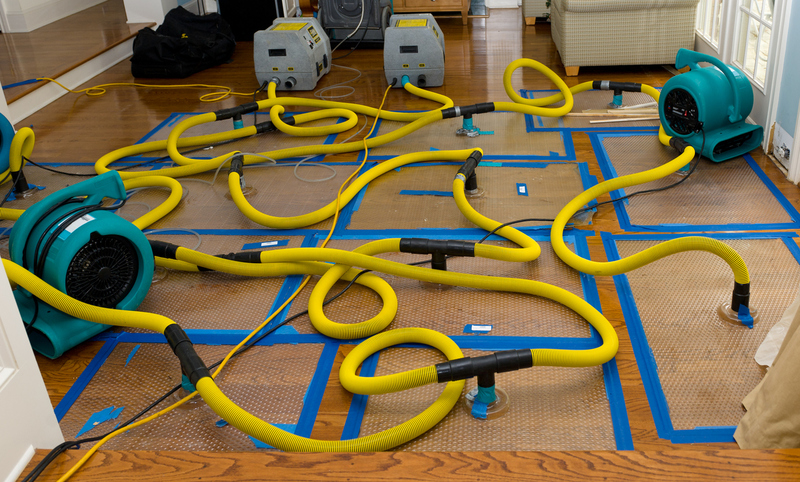 The best way to reduce the risk of mould in your home is take care of any water damage immediately and seek the help of a professional flood restoration company. When your home floods, your basement is a high-risk area and unfortunately, this is where many of us store old photos, memorabilia, and sentimental items that don’t really have a place in our everyday lives. When something’s important to you or your family, you obviously don’t want it to be damaged beyond repair. Regrettably, if your home has been flooded, this is quite likely to happen if your possessions are left exposed to moisture for too long. However, if you immediately contact a company that offers water damage restoration services, you’ll increase your chances of saving these important items. If your home has suffered from water damage and you need someone to provide immediate service, stop Googling “water mitigation companies near me,” and call Flood Services Canada now. We’ve been serving the GTA for just over a decade, so you can trust us to take care of your water mitigation process with efficacy and efficiency. Don’t take chances when it comes to your water damage restoration—choose Flood Services Canada to ensure a job well done. Contact us at (416) 302-2107 to learn more about our services, or reach our emergency hotline at (416) 999-3930 to get our rapid-response teams deployed to your location.